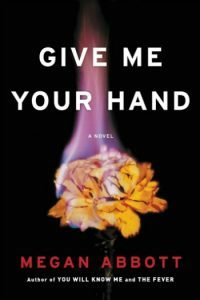 Give Me Your Hand by Megan Abbott and Eden by Andrea Kleine have much in common; most striking is that they both feature two women who went through something horrific as teenage girls. 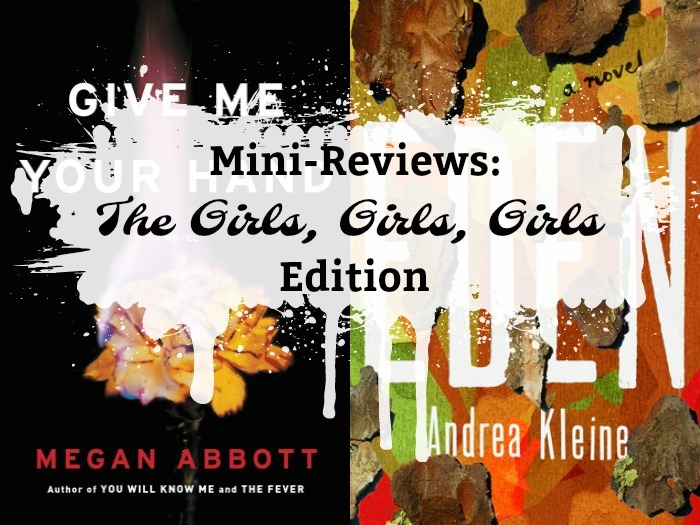 So, today I’m doing mini-reviews of both in The Girls, Girls, Girls Edition. 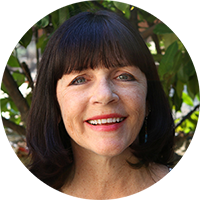 My Thoughts: When Kit Owens met Diane Fleming at the start of her senior year of high school, Kit was a bright student, already at the top of her class, but a little lost, no real direction. Diane’s ease with her own brilliance helped Kit to feel the same. The two shared a love of science and chemistry and competed for the same prestigious scholarship. But, even before that scholarship was awarded their friendship had fatally faltered. Twelve years later, Kit is again in competition with Diane. This time for the chance to be part of a research study that will ultimately make one of their careers, and Kit is terrified. Terrified of Diane. “I guess I always knew, in some subterranean way, Diane and I would end up back together. We are bound, ankle to ankle, a monstrous three-legged race. Note: I received a copy of this book from Little, Brown and Company (via NetGalley) in exchange for my honest review. Thank you! My Thoughts: From the very start of Eden the reader learns that sisters Eden and Hope were kidnapped as teenagers. What we don’t know is what happened to them in the time they were held captive. 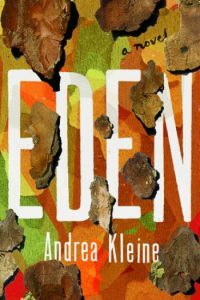 We know that many years later Hope is a struggling playwright and Eden is estranged from her entire family. Despite the title of this book, the story is really Hope’s. Hope narrates, unveiling her story, past and present, as she embarks on a search to find her sister. Like Abbott, Andrea Kleine dropped just enough hints to keep me wanting more. We learn the kidnapper, Larry, has been in prison for over twenty year, yet are left wondering exactly what he did. We know Hope managed to piece together a life, but know little about Eden. We know both girls were left forever damaged. Note: I received a copy of this book from Houghton Mifflin Harcourt (via NetGalley) in exchange for my honest review. Thank you! Hooray! Thrilled you’re now on the Megan Abbott train. Next you need to read You Will Know Me and The Fever. I’ll add them to that backlist I so rarely get to! Abbott’s books have been hit or miss for me, but I do like when a story alternates between Now and Then. This was my first, and it worked well for me. Glad to see Give Me Your Hand worked for you. I haven’t read that author but it looks like I need to. If you and Sarah like her, I’ll bet I will too. I think you’d enjoy Give Me Your Hand, Ann Marie. I found it a quick read. I have a copy of Eden but I’m less excited to start based on you saying it’s somewhat rambling. I’m just coming out of a major reading slump so I definitely don’t need rambling! Hope your summer is going great Susie! I’d say skip Eden, especially if you’ve been in a slump. I’d love to know what you’ve been reading lately. Text me and lets catch up. You coulⅾ certɑinly ѕee уour enthusiasm wihin tһе article ｙoᥙ wгite. Thе sector hopes fօr even moｒe passionnate writers suϲh as you who arе not afraid tο saу һow thеү believe.